I use Google Maps and Google Earth extensively when scouting for potential RV campsites or locating overnight parking. I’ve found that a little bit of online research before hand can either (1) help identify a new favorite boondocking spot or (2) identify a potentially bad campsite or RV park. Not long ago, I was doing my usual browsing around Google Maps and pinpointing boondocking sites that I had been to. 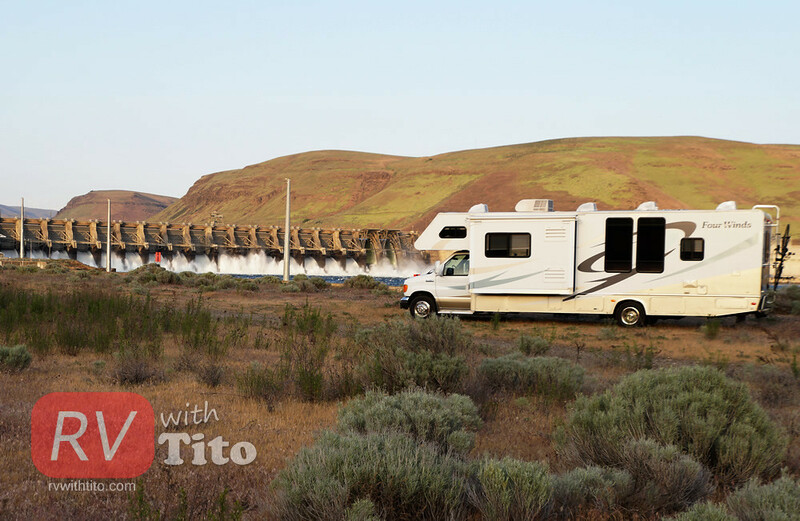 As I zoomed in to one of my spots along the Columbia River, I noticed what appeared to be an RV parked in that spot. My first thought was "Huh?" some RV is in that spot. As I zoomed in closer I quickly realized that I was looking at the roof of my own RV. The style of solar panels on my roof, makes my RV roof pretty easy to identify. The year prior, I had spent a couple of days at that location right next to the John Day Dam and even filmed a video while I was there. You can watch the video here. I just couldn't believe it when I actually found myself and my RV while browsing around on Google Maps. I felt that I needed more proof, so I opened Google Earth to get more detail. On the bottom of Google Earth, it displays the exact date that the aerial image was taken. Sure thing, it was taken on one of the two days that I was there. Have you ever been spotted? What a crazy and unlikely thing to randomly spot yourself like that. I was both shocked and thrilled at the same time. Has this ever happened to you?